NBA collaborated with Primary (http://www.weareprimary.org) to host an episode of their Arm chair Traveller series. These series of walking events invert the idea of the Grand Tour. 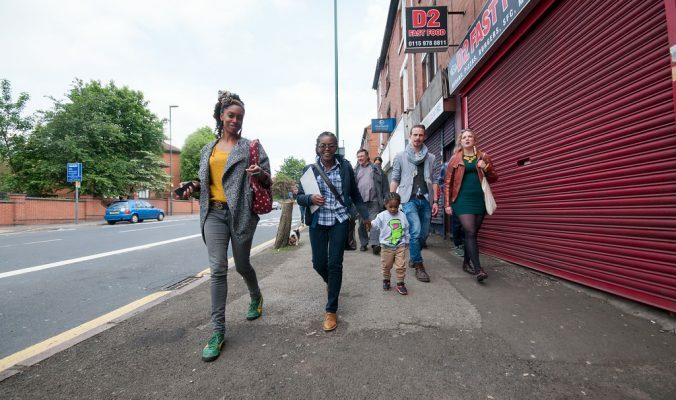 These events took place as part of the The Grand Tour Fringe Programme: Season Two. .
On the 28th May NBA hosted a whistle stop tour of the Black presence in the NG7 area of Nottingham from the earliest point in time to the present day . 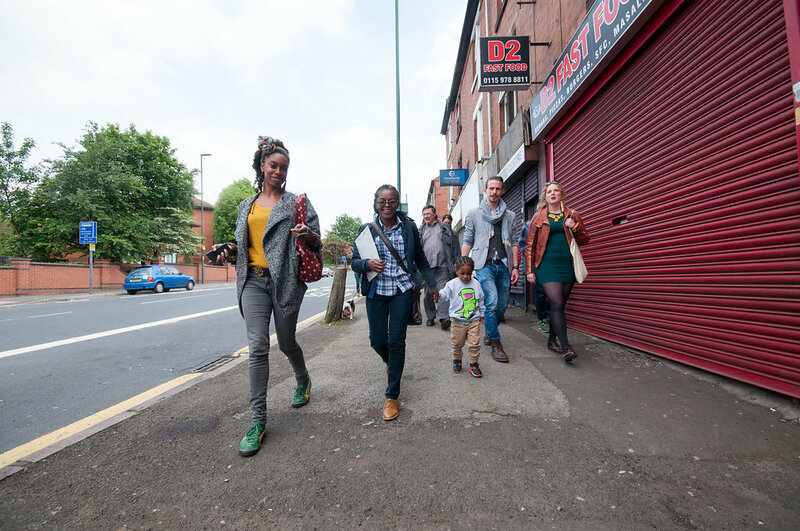 Stories were told through poetry, music, film and drama by members of the Nottingham community, including the first generation of Caribbeans to settle in Nottingham during the 1950s.